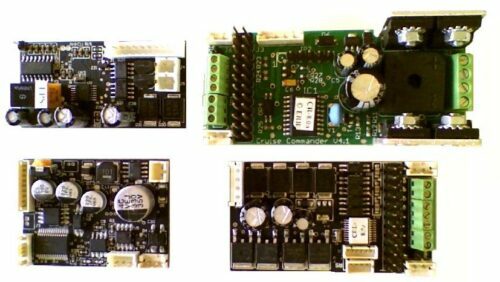 The diagram and supporting installation notes help the user to successfully include this kit in your steam engine. 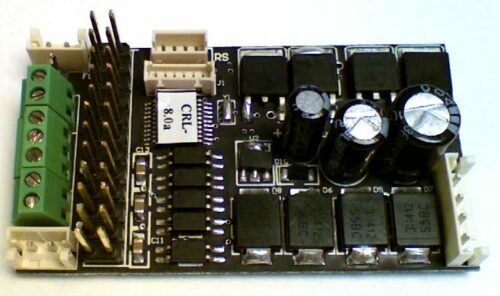 This is a Royz Trains product developed for use with the ERR electronics. The biggest advantage is to allow fully synchronized smoke and chuff sound. We also offer a smoke unit that gains full smoke output at 8.5 VAC track voltage. 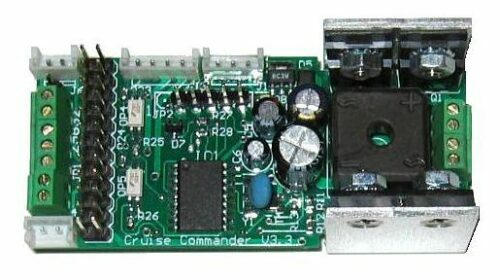 With this item installed, even the basic AC or DC Commander will operate with the Sound board in sync with the smoke chuff! 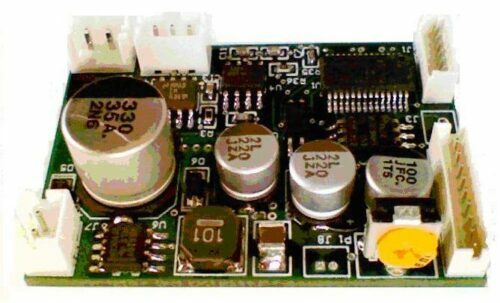 In addition, the sound kit chuff switch can be wired to operate both the smoke generator and the sound kit simultaneously. 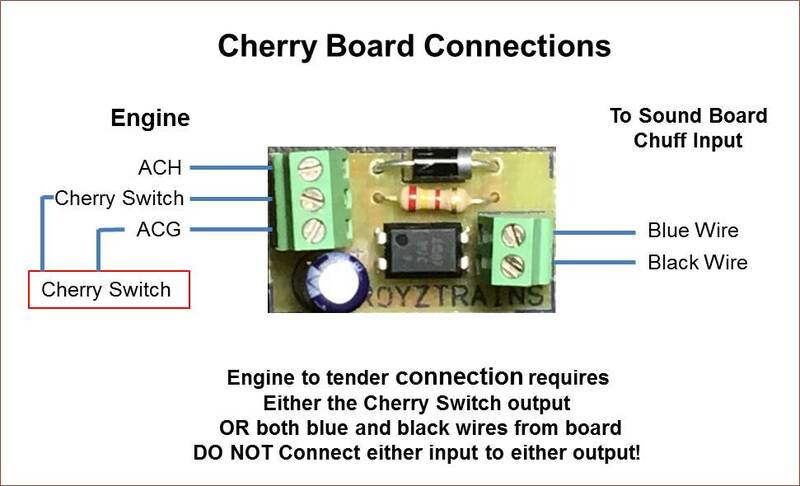 The Cherry Switch Board has screw terminals for easy connection. 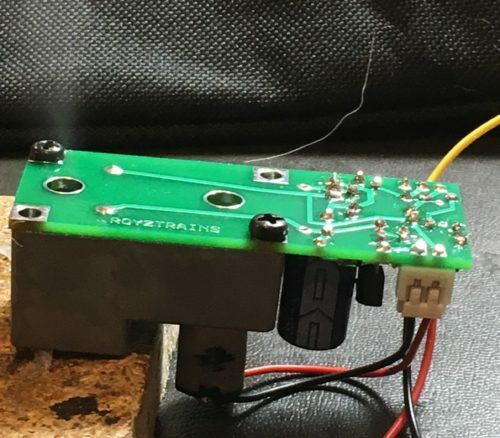 It allows for a grounded cherry switch to connect with an ERR sound commander safely. It can be located in the engine or tender. If in the tender only a single wire is required from the engine smoke unit with existing chuff.